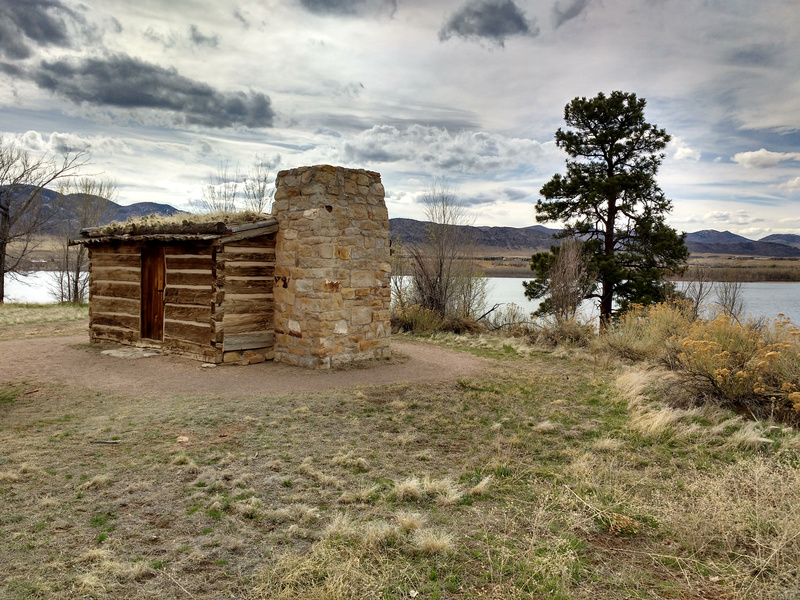 Free high resolution photo of a log cabin with a stone chimney and sod roof. This photo was taken at Chatfield State Park in Littleton, Colorado. This picture shows a historic log cabin built around 1850 by a trapper in the area. In the background you can see Chatfield lake and the front range of the Rocky Mountains. Free photo for any use.